This song, Endless Summer has been on an ad on tele, and I finally googled it to find the video. 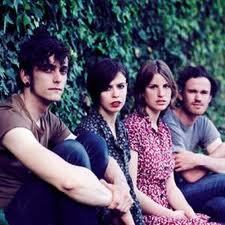 I had heard of the Jezabels before but knew nothing about them. They are an Australian band. I was really surprised that they chose this theme for the video, but I actually really love it. I've never heard of them but I really like this song. Interesting video as well. Thanks for sharing. I love the Jezebels, I have heard so many great reviews of their live show - I would love to see them. Hayley has such an amazing voice, my husband is always raving about her stint on Rockwiz.